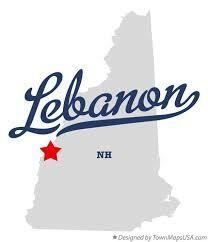 Lebanon NH -On Sunday, January 13, 2019, at approximately 1:50PM the Lebanon Police Department received a report of a male subject found deceased in the woods off of the South side of the Lebanon Airport runway. The deceased subject was discovered by a snowmobiler who was riding in the area. The deceased is identified as Corey Wilson, age 37, with the last known address of Belleville, New Jersey. The Grafton County Attorney’s Office along with a Medical Examiner from the Office of the Chief Medical Examiner responded to the scene. It was determined that the deceased would be transported to the Office of the Chief Medical Examiner in Concord for an autopsy. The cause of death is pending autopsy, but the death does not appear suspicious or the result of foul play.